WiFi File Sharing is a Samba controller for webOS, simply open the App and your device will appear as a Network Share in your favourite desktop OS' file browser. Open it up, and transfer away! Your screen will stay on so long the app is in the foreground, so no need to worry about it locking and disconnecting in the middle of something. When you're done, just close the app and it'll automatically disable the network shares until you're ready to use them again. Requires Easy Samba & Homebrew JS Service Framework. Requires a Luna Restart. 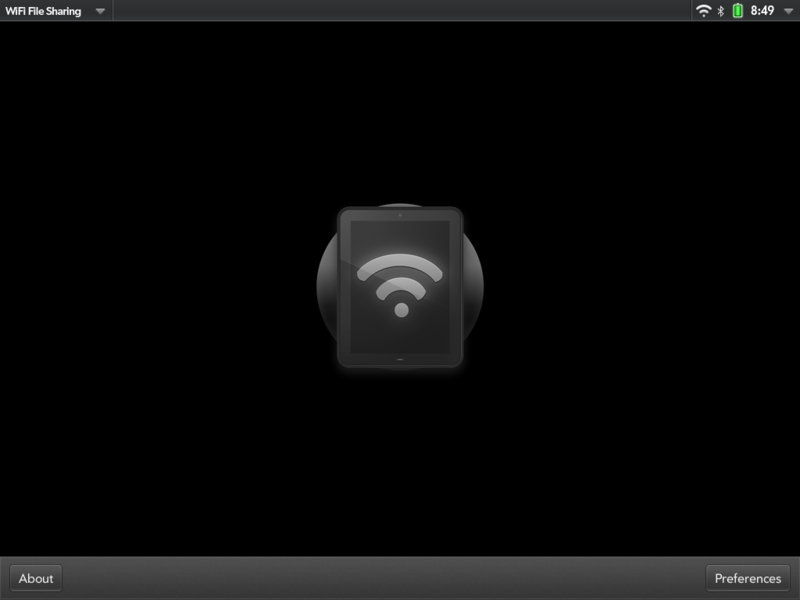 1.4: Exhibition Mode, Workgroup Preference, Pretty CSS Animations, WiFi icon lights up to indicate Samba Status.